Police are appealing for help after a quad bike was stolen from a farm in Hope Valley on Good Friday. A thief gained access to farmland along Snake Road in Bamford and made off with a red coloured Honda quad bike that was parked on the driveway. 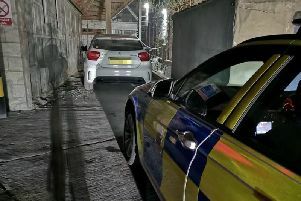 The homeowner was in their front garden at the time of the incident and looked up to see a man described as white, slim, aged in his mid-20s, and wearing a white flat cap styled hat, riding off at speed on the quad. Officers are keen to speak to any motorists who may have seen a red quad bike being ridden along the A57 towards Sheffield between 4pm and 4.30pm on Friday, March 25, particularly in the area of Ladybower Reservoir. Anyone with any information about the incident is asked to contact PC Helen Sayers on 101.